With many fueling stations near waterways in Houston and low lying areas impacted by Hurricane Harvey and the rising waters, underground fueling tanks were vulnerable to water infiltration. 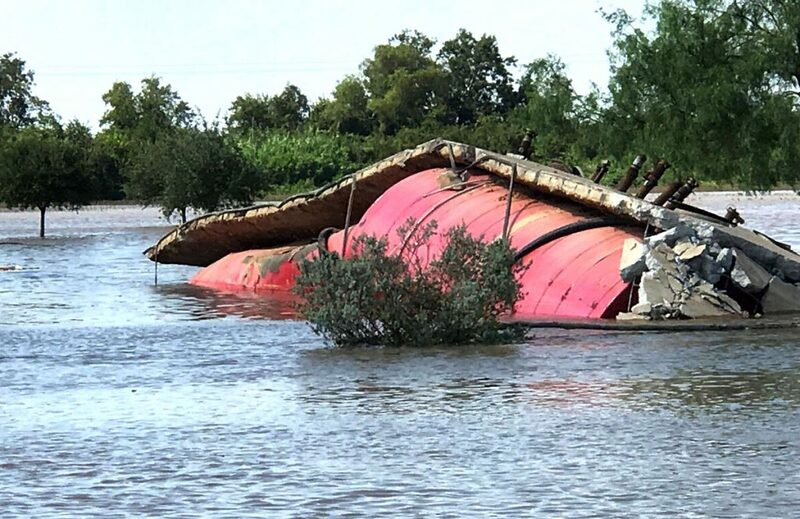 Underground tank fueling systems that were empty during the flood become bouyant missiles as the rising groundwater table can lift them to the surface destroying the overlying concrete pavement and possibly nearby structures. This is hazardous to drivers as when water mixes with ethanol it forms a corrosive substance to engine parts as well as impacts combustion. It also causes issues for the tank owners as pump parts become corroded and hydrocarbons can escape the tank system causing damage to the native soils, groundwater, and nearby surface water bodies. These tanks should be kept near full to keep this from happening otherwise an emergency tank removal is needed. Early assessment of these issues by a licensed professional like TSI should minimize headaches down the line. We here at TSI hope everyone recovers quickly. Municipal Settings Designation (MSD) – Is It Right For My Site? We’re Helping To Clean Up Texas! Copyright ©2018 Terrain Solutions. All rights reserved.